1. Strength, wisdom, & exceptional capabilities are born from failures & challenges... always remember that. Maybe you’re struggling right now. Maybe it’s taking way longer than you expected. And maybe no one believes in you. 2. trudge through the mud and gain your battle scars. I promise you...In the end it will all be worth it. 3. it will happen for you, as long as you NEVER give up! Make success an obligation and not an option. Your legacy depends on it. LIVE LIFE WITH NO REGRETS, my friends! 🔥 it up today and every day!! Solutions?... theconservativetreehouse.com/2018/12/29/sol… via @thelastrefuge2 "the baseline for any solution lies in first accepting the elements of the problem. over time, by participating political members who have politicized every function within the institution. of the FBI; is being run through the prism of politics. Every outcome is clear evidence therein. Any solution has to come from a position external to the organization or the cycle will simply continue. ♦Specifics: When Democrats last took power in January 2007, Pelosi & Steny Hoyer took control in the final 2 yrs of George Bush second term. Immediately they set about a process laying groundwork for 2008 presidential election of Barack Obama. This was a priority objective. One of the techniques was REMOVAL of the BUDGET PROCESS. By eliminating the federal budget process in 2007 (fiscal year ’08) Democrats paved the way for the next Dem president to demand massive open-ended spending. In 2018 scale of unchecked lawless behavior is a significant influence toward the differences we can expect from the last time Democrat/Marxists held congressional power. The term “Democrat-socialism”/in essence a Marxist approach, is now dominant fuel within the professional DNC political operations. In 2006 the radicals, needed to downplay their radicalism. In 2018 the severity/aggression of the left, as assisted by dropping of all media pretense, no longer needs to hide the intention. THREAD: Today I had a case of "real world MCU bias" on my way to work and I thought I would share it here for the people who think it only happens on social media. I'm not telling this story out of anger, it's just to give people an idea of how this happens in the real world. 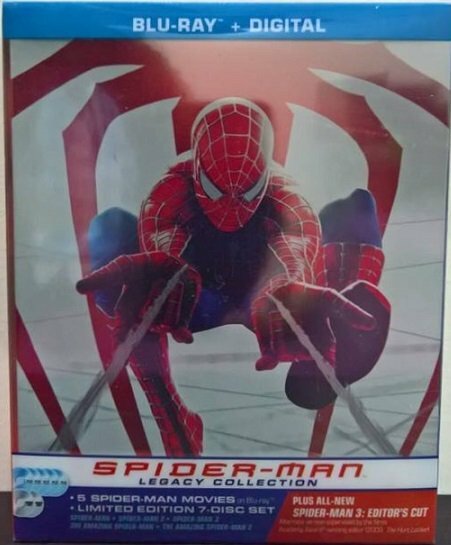 The Spider-Man Legacy Collection Steelbook(non-4K version) is on sale right now for $24.99 at Best Buy. I pounced on it. If you don't know what it is, it's all 5 of the pre-Homecoming movies in one set. Awesome and a steal at $35 off. ...but in this case, the young cashier that rung me up had a co-worker next to her who said "I didn't think anyone would ever buy that." I said I already had Homecoming so it made sense for me. That's when the cashier tells him that she saw Aquaman and was "disappointed." Minorities in India need to organise and take a stand in legal manner, vote strategically. Cannot afford to withdraw in shell, get used to abuse, scapegoating, fake cases. Must unite and organise to take action for own dignity, justice and existence. Indian minorities are internalising self hate, self blame or hoping 'this too shall pass' or learning to live with it or ignore it. They also vote poorly. They fail to take action. That's why the abuse by politicians and media continues. Why not take legal action and expose them? 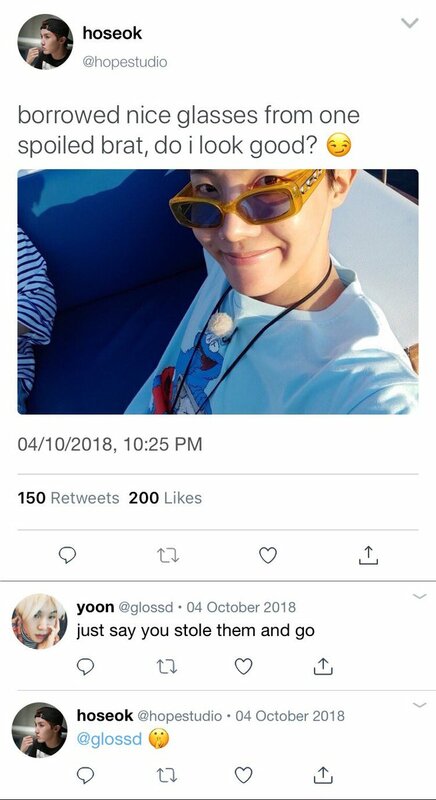 — hoseok and jimin are classmates who hate each other and constantly argue and fight because jimin’s rich and spoiled, while hoseok isn’t. 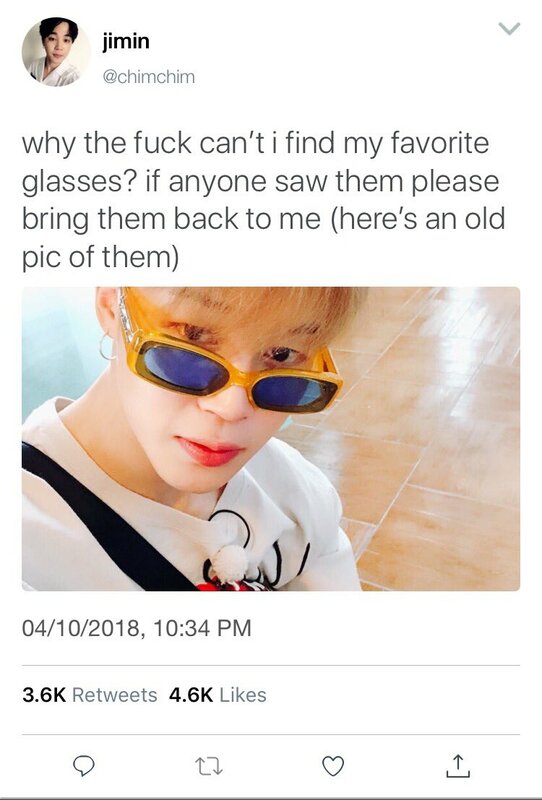 one day hoseok decides to steal jimin’s expensive glasses, and posts a picture of himself wearing them on twitter. I can't with this guy...but interestingly, he's also revealing a lot with each one of these interviews. #NOW: SAM NUNBERG says he was told he wasn't a target or a subject of the investigation and he was OFFERED IMMUNITY by the Special Counsel's team. ADMITTING THAT ROGER MAY HAVE LIED TO PROSECUTORS. 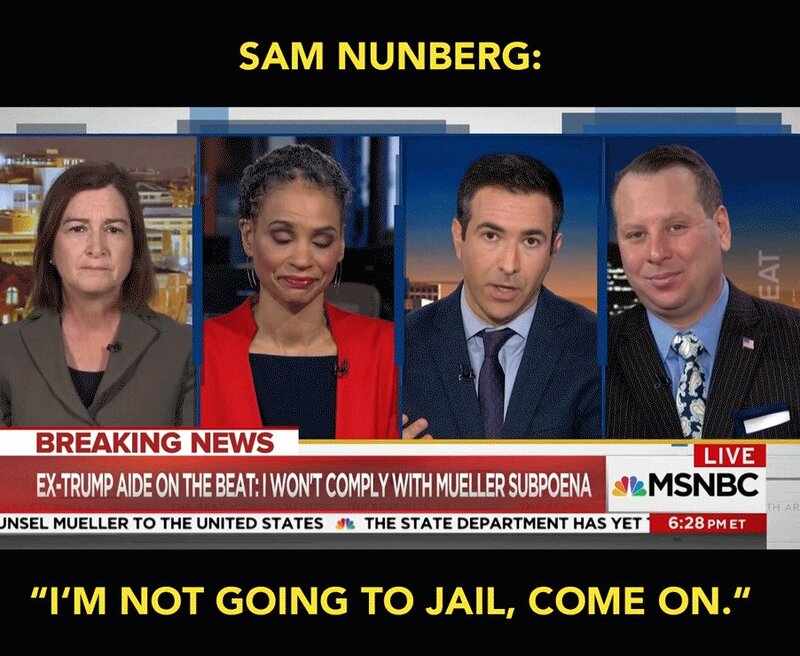 SAM NUNBERG: "I'M NOT GOING TO JAIL, COME ON." "When I considered writing about the toll of autism I was determined to do so only if I had something new to say." Sorry, this book, so far, is just another 'autism martyr parent' book. It's just more graphic, & hence, more harmful. You're still touting bad information and revealing how abusive many parents actually are to their autistic kids. You're still using poor language references WRT autism. 'has autism', 'with autism', 'people with autism'.